Willa Cather in "Beauty and the Beast"
Built in 1885, the Red Cloud Opera House transports visitors back in time to set the mood, scene, and tone of the 1890s, when Willa Cather and her friends eagerly anticipated the arrival of traveling productions such as The Bohemian Girl and The Mikado. As Cather herself put it, "Only real people speaking the lines can give us that feeling of living along with them, of participating in their existence." 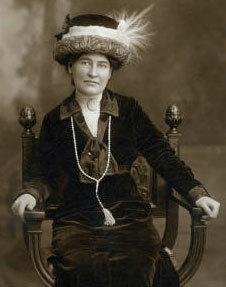 It was in the Red Cloud Opera House that Willa Cather first experienced theater and opera, performed on the Opera House stage, and delivered her high school graduation oration in 1890. 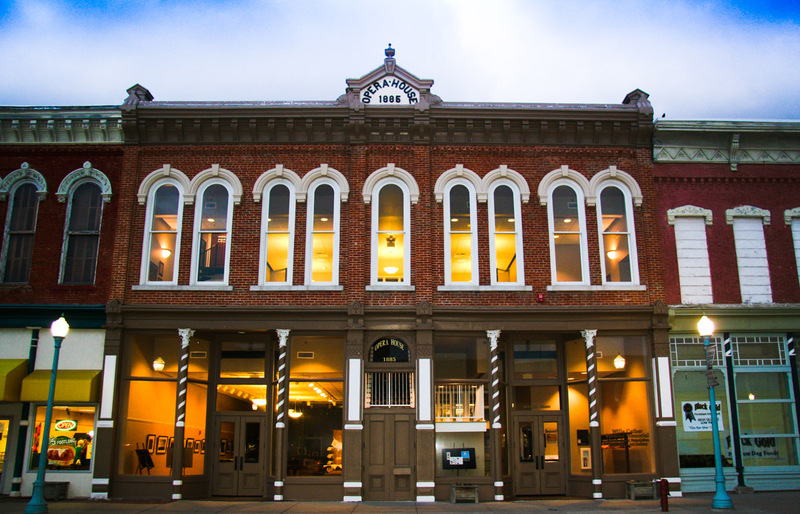 Today, the Red Cloud Opera House features a full performance schedule and is home to the Willa Cather Foundation offices, gallery and bookstore. The Red Cloud Opera House auditorium, gallery, and kitchenette may be reserved for meetings, weddings, receptions, holiday parties, and private events. Browse our fee schedule and contact Jill Swartzendruber for reservations, jswartz@willacather.org or 402-746-2653. "When I go about among little Nebraska towns, the thing I miss most is the Opera House. A traveling stock company settled down at the local hotel and thrilled and entertained us for a week." "That was a wonderful week for children. The excitement began when the advance man came to town and posted the bills on the side of a barn, on the lumberyard fence, in the 'plate glass' windows of drug stores and grocery stores. My playmates and I used to stand for an hour after school, studying every word of those posters; the names of the plays and the nights on which each would be given. After we had decided which were the most necessary to us, there was always the question of how far we could prevail upon our parents. Would they let us go every night, or only on opening and closing nights?" "How good some of those old traveling companies were, and how honestly they did their work and tried to put on a creditable performance. There was the Andrews Opera Company, for example; they usually had a good voice or two among them, a small orchestra and a painstaking conductor, who was also the pianist. What good luck for a country child to hear those tuneful old operas sung by people who were doing their best: The Bohemian Girl, The Chimes of Normandy, Martha, The Mikado. Nothing takes hold of a child like living people." "But I am sorry that the old Opera Houses in the prairie towns are dark, because they really did give a deeper thrill, at least to the children. It did us good to weep at East Lynne, even if the actress was fairly bad and the play absurd. Children have about a hundred years of unlived life wound up in them, and they want to be living some of it. Only real people speaking the lines can give us that feeling of living along with them, of participating in their existence. The poorest of the old road companies were at least made up of people who wanted to be actors and tried to be--that alone goes a long way. The very poorest of all were Uncle Tom's Cabin companies, but even they had living bloodhounds. How the barking of these dogs behind the scenes used to make us catch our breath! That alone was worth the price of admission, as the star used to say, when he came before the curtain." The Red Cloud Opera House, which closed its doors as such by 1920, was owned by the Morhart family for 106 years until it was donated to the Willa Cather Foundation in 1991. Over the years it has been used for various businesses, offices, apartments, and storage. The Willa Cather Foundation raised $1.2 million for the renovation, and in May 2001 launched a $1.1 endowment campaign for program and operational support. The National Endowment for the Humanities awarded the Willa Cather Foundation a $275,000 challenge grant for the Opera House in December 2001, which the Foundation matched three-to-one and met its goal in July 2006. 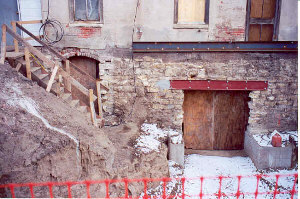 Renovation started in August 2001 and was completed in February 2003 by Farris Construction of Hastings, Nebraska. The renovated structure houses not only the original second-floor auditorium and lobby, but also a first-floor visitors' center, bookstore, art gallery and exhibition space, and the Willa Cather Foundation offices. 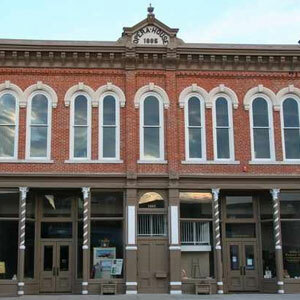 The exterior of the historic Red Cloud Opera House has been restored to look much as it did in 1885. The original cast-iron facade columns have been cleaned, refurbished, and painted, and the brick masonry construction re-conditioned to its original appearance. The double-hung upper floor windows have been restored to the original configuration, and now contain arched openings. Designed to provide a full range of facilities for visitors, scholars, and staff members, the interior includes gallery and exhibition space, the Willa Cather Foundation bookstore, meeting room, multi-purpose room, kitchenette, work room, lobby, custodial space, mechanical and electrical room, and, of course, the Opera House auditorium. A fire-rated stair enclosure is located at the rear of the building to service all levels of the Opera House, and a new passenger elevator has been installed, as well as new toilet facilities, heating systems, fire protection systems, electrical services, and lighting and power distribution systems.